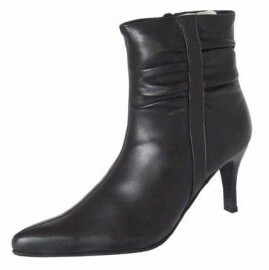 Soft black leather ankle boots with a fabric & leather mix lining. 3" stacked heel, pointed toe and side zip. The ladies boots have rouche detailing at the ankle and cushioned insole for extra comfort.